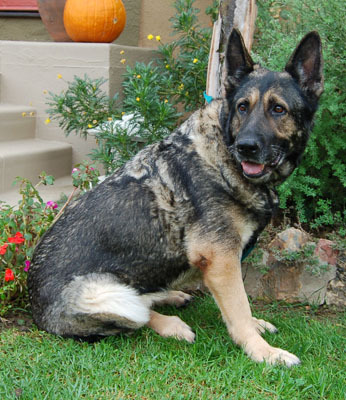 Pepper von Berlin is a 6 year old sable German Shepherd. 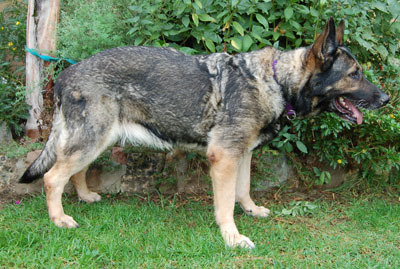 The sables are often used as working dogs in Germany; they are bred for temperament and health. 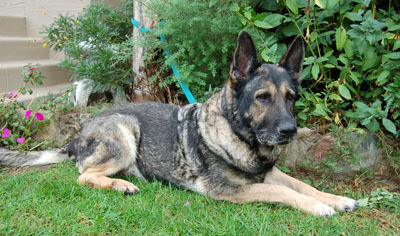 Pepper is a beautiful example of the sable shepherds, she is solid and strong. 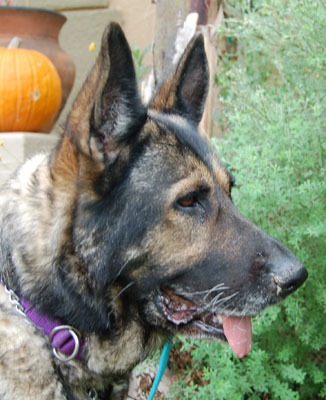 She has a happy disposition and loves to hang around with her human and doggie friends. 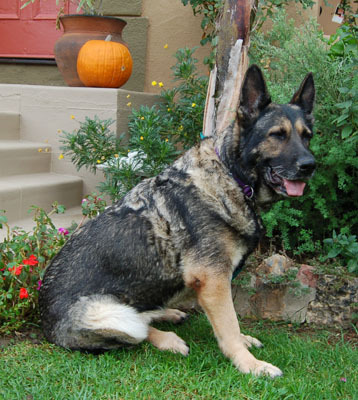 At the boarding kennel, she enjoys sitting in the front office with other dogs and she greets everyone. She gets excited to go for walks and runs and plays with the other dogs at the kennel. She walks nicely on the leash and is housebroken... Pepper enjoys playing but then can settle down and be quiet for hours. 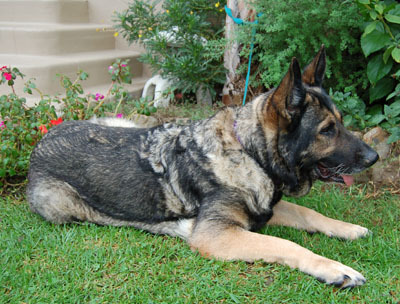 Her coat is lush and thick and her coloring is striking. She knows commands and her latest trick is “high five”. Pepper is a very special soul; you can see the adoration in her eyes when she looks up at you. 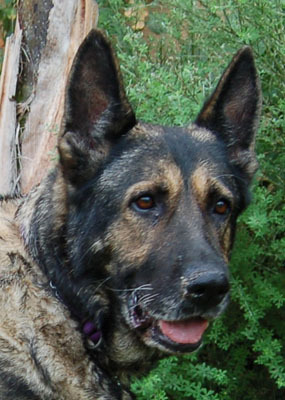 There’s just something magical about her and she will be your once in a lifetime kind of dog.